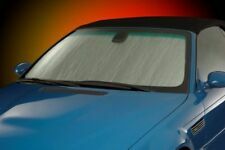 High Temp Professional Headliner Adhesive. 2000 to 2005 Chevrolet Impala sedans. - 60" width fabric. 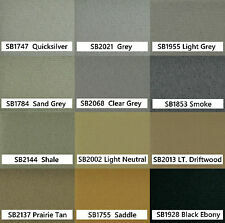 SB2021 – Grey. SB1747 – Quicksilver. SB1928 – Black Ebony. SB1755 – Saddle. SB2137 – Prairie Tan. For 2000 - 2005 Chevrolet Impala Base. Premium Auto Folding Shade. The multi-layered construction reduces the inside temperature by as much as 40 degrees Fahrenheit. Product View. 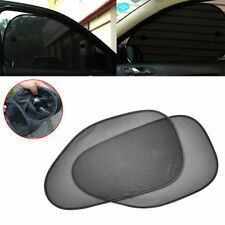 Coverking Custom SunShield For Chevrolet 2000-2005 Impala. The ultra has a unique 3 layer construction. The top layer is a polyester 300 denier fabric with silver polyurethane coating to reflect most of heat and radiation. Covercraft UVS100 Sunscreen - Carhartt For Chevrolet 2000-2005 Impala. This premium quality, custom patterned folding sunscreen features the iconic Carhartt logo with a brown reflective finish. Iconic Carhartt Logo. 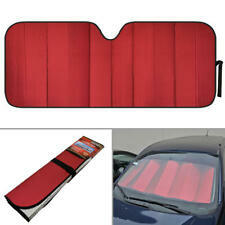 Intro-Tech Bubble Custom Car Sunshade For 2000 - 2005 Chevrolet Impala Base. Computer precision cut for a custom fit, it reduces inside temperatures up to 35 degrees Fahrenheit. It protects leather seats from becoming hot and cracking while keeping the steering wheel and shift knob comfortable to the touch. CHEVROLET IMPALA (80 & UP) 00-05 illumination, RH. MONTE CARLO 00-05 illumination, RH. Model: CHEVY IMPALA. Year: 2004. Side: Right. Part Grade Abbreviations. cc = Credit Card size units. C = Greater than 200k miles. Part Number: 77002. Prevents Rain From Entering Sunroof. Manufacturer: Auto Ventshade. Reduces Wind Noise Or Air Turbulence. Install With 3M?. Adhesive Foam Tape. No Drill Installation. Pop Out Design. 2001 Chevrolet Monte Carlo. 2002 Chevrolet Monte Carlo. 2003 Chevrolet Monte Carlo. 2004 Chevrolet Monte Carlo. 2005 Chevrolet Monte Carlo. 2001 Chevrolet Impala. 2002 Chevrolet Impala. 2003 Chevrolet Impala. 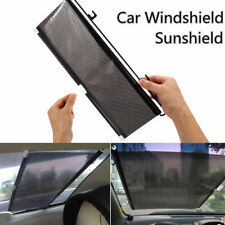 51" x 27.5" Spec-D Windshield Auto Car Sun Shade Sunshine Blocker. 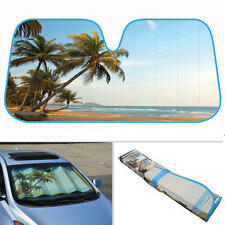 Sun shade size: 51" x 27.5" (130cm x 70cm). Unique windshield sunshade, racing style. Our office hours are. Part Number(s): 10424922. Chevrolet Impala 2000-2005 6 Cyl 3.1L, 6 Cyl 3.4L, 6 Cyl 3.8L IMPALA, LS, LT, POLICE CAR, SS Chevrolet Lumina 2000-2001 6 Cyl 3.1L, 6 Cyl 3.4L, 6 Cyl 3.8L IMPALA, LS, SS Chevrolet Monte Carlo 2000-2005 6 Cyl 3.1L, 6 Cyl 3.4L, 6 Cyl 3.8L IMPALA, LS, LT, POLICE CAR, SS. In good used condition! 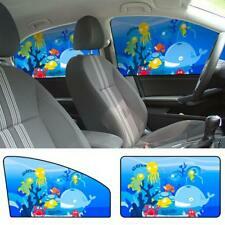 Fits both the LH drivers side or the RH passengers side. A genuine OEM part! ~If indicated as New or NOS they are exactly that, instead of being in a used condition. Easy to install & remove. Fully foldable and cleanable. IDEALLY BLOCKS OUT ULTRAVIOLET FROM SUN & PROTECTS PRIVACY. 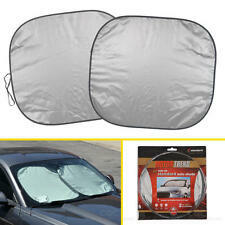 Designed to protect your car from excessive ultraviolet radiation and heat. (Not available for bull bar / side step bars / bumper step / tonneau cover / racing seats.). Hours of operation We are here to serve you the best way possible. Erie, PA 16503. A-1 Automotive. 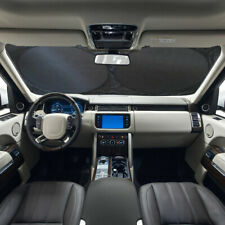 Features:Driver's side, covered lighted mirror, extension panel, Cloth. This is so we can make a claim against the carrier if appropriate. You can rest assured that all the parts we carry will fit the vehicles that are listed. IMPALA 00-05 w/o illumination; L. MONTE CARLO 00-05 w/o illumination; L. C Grade - The third level quality part. B Grade - The second level quality part. It is of average miles and normal condition for its age. CHEVROLET IMPALA [SUN VISOR] w/o illumination; R. 00 01 02 03 04 05. IMPALA 2000 -2005 w/o illumination; R. w/o illumination; R. Model: IMPALA. 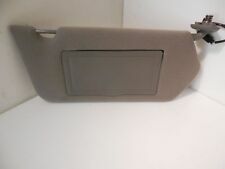 MONTE CARLO 2000 -2005 w/o illumination; R. This passenger side sun visor is in good condition. Free Shipping! 30 Day Warranty! Guaranteed Delivery! IMPALA 00-05 w/o illumination; R. MONTE CARLO 00-05 w/o illumination; R. C Grade - The third level quality part. B Grade - The second level quality part. It is of average miles and normal condition for its age. TWIN "LIGHTED" VANITY MIRRORS . CHEVY MONTE CARLO OR IMPALA FROM 2000 THRU 2005 ! THESE VISORS ARE. THESE VISORS WILL FIT A. Be Sure To Include The Year, Make, Model, & Color! BLUE IN COLOR & ARE IN. Highest Quality Guaranteed! Responsive Seller! The cloth shows light general wear from previous use and there is a tiny hole in the cloth on the side with the warning sticker at the right center (see pictures).Overall, in good used condition! IMPALA 00-05 w/illumination, R. No labor warranty is provided. This part will fit these makes and models with these options. along with the RMA number. Pick up at our facilities is available. Part Category. IMPALA 00-05 w/illumination, L. No labor warranty is provided. This part will fit these makes and models with these options. along with the RMA number. Pick up at our facilities is available. Part Category. Model: CHEVY IMPALA. CHEVROLET IMPALA (80 & UP) 00-05 illumination, RH. Side: RIGHT. Right Hand side, also known as the passenger's side. Left Hand side, also known as the driver's side. J & J Auto Wrecking was established in 1957! Description AUTO UPHOLSTERY HEADLINER FABRICIDEAL FOR REPLACING YOUR CAR AND TRUCK CAB HEADLINER - High Quality 100% Polyester Knit Headliner. - Foam Backing and has a Very Soft Finish on the Face of the Fabric - Ideal for Car and Truck Cab Headliner replacement and also Great for Lining Gun Lockers,Hunting Cabins, Box Stands and Gun Blind interiors. It is also well suited for the Front of Foam/Mesh Ball Caps, and anywhere else were a Polyester Knit Face and Foam Back Upholstery application is desired. - Width: 60" - Color: As Pictures Show. This is aOEM Driver Side Sun Visor was pulled out of a2001 Chevy Impala Passenger Sedan 3.4L. The door hinges are in tight excellent condition!! Car covers. Our team works hard for you. Seat Covers, Floor Mats for Cars, Trucks, Vans & SUVs available in hundreds of varieties of patterns, styles and materials. Incorrect or invalid quantity entered.